The former AllianceBernstein specialist has landed at UBS, helping steer the lender's APAC fixed income team. 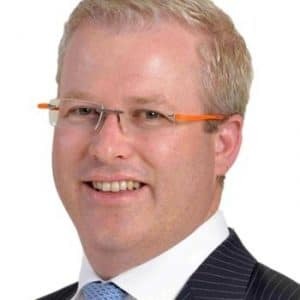 UBS Asset Management has made a new veteran hire, bringing in fixed income maven Hayden Briscoe to lead its Asia-Pacific team, following a lengthy stint at AllianceBernstein, Finance Magnates has learned. In his new role at UBS as the Managing Director and Head of Fixed Income – APAC, Mr. Briscoe will be based out of Hong Kong, reporting to John Dugenske, the lender’s Global Head of Fixed Income at UBS. He steps into the new position with immediate effect, and will focus on one of the group’s marquee asset classes in the region. Mr. Briscoe came over to UBS after working at AllianceBernstein’s Hong Kong branch for nearly seven years. In this capacity he worked as its Director of Fixed Income – APAC, with an emphasis on regional fixed income portfolios and business, according to information made public on his Linkedin profile. The hire is one of the first this month since an announcement out of UBS AG that it was imposing a hiring freeze across several components of its global business, including its wealth management unit. UBS’s wealth management unit, one of the largest in the world, had abruptly announced a revamped strategy back in July effort to cut costs, following a dismal Q1 profit that sunk -64.0%, which was pinned in large part by a slump at the wealth-management and securities units.